The Quick Fix Pond Cleaner! 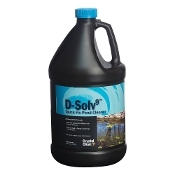 CrystalClear D-Solv9 contains a specifically designed 2x concentrated formula to clear pond water quickly and efficiently regardless of water volume. Results can be seen in as little as 24 hours. 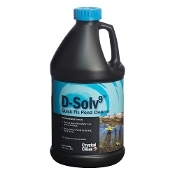 D-Solv9 can be used in all sizes of ponds, fountains, bubblers and streams. 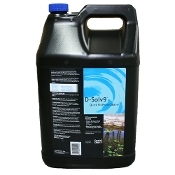 It can be used when fish or plants are present. 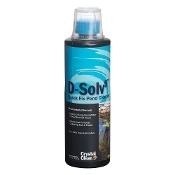 No matter what your clarity problem is, D-Solv9 can help you FIX it. Compare to AlgaeFix - 2x the Dosage=More Bang for your Buck!